Our friends Jeff & Tara who co-run a business (Meow Meow Tweet) and an art/performance practice, (The Friendly Falcons) kindly asked if we could make them work aprons. Of course we obliged. We took this opportunity to try out a few new ideas. Overall we let the material do most of the work, but the aprons themselves show two different approaches to a very similar project: the natural colored apron is more complex and all about detailing, while the chestnut colored apron is an exercise in distilling down to the barest minimum of both materials and labor, to arrive at the desired functionality. For us, the most "unique" construction/detailing is found on the chestnut colored half-apron. 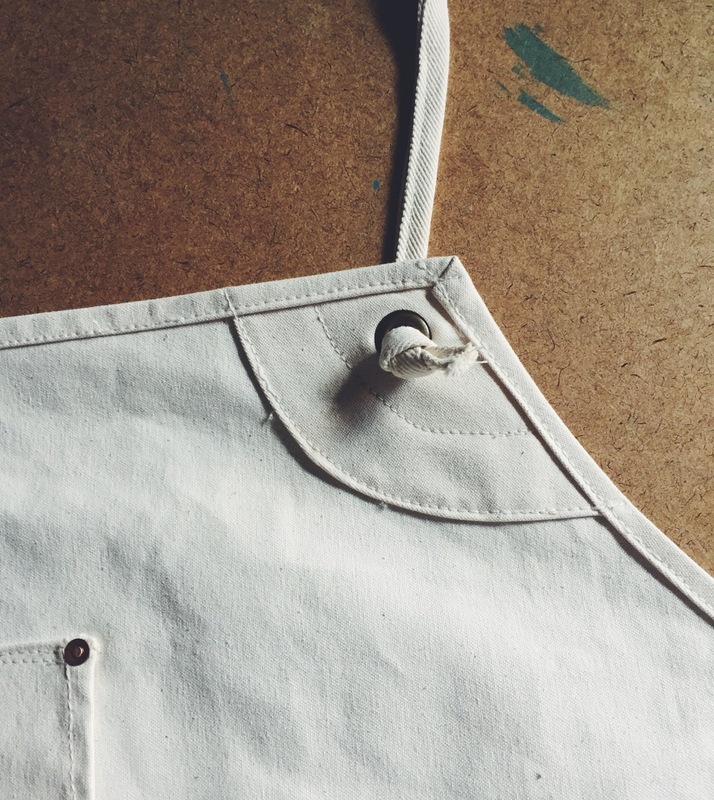 The fabric is a narrow selvage, which allowed us to create a pocket by folding the fabric on itself to achieve the total height of the apron. 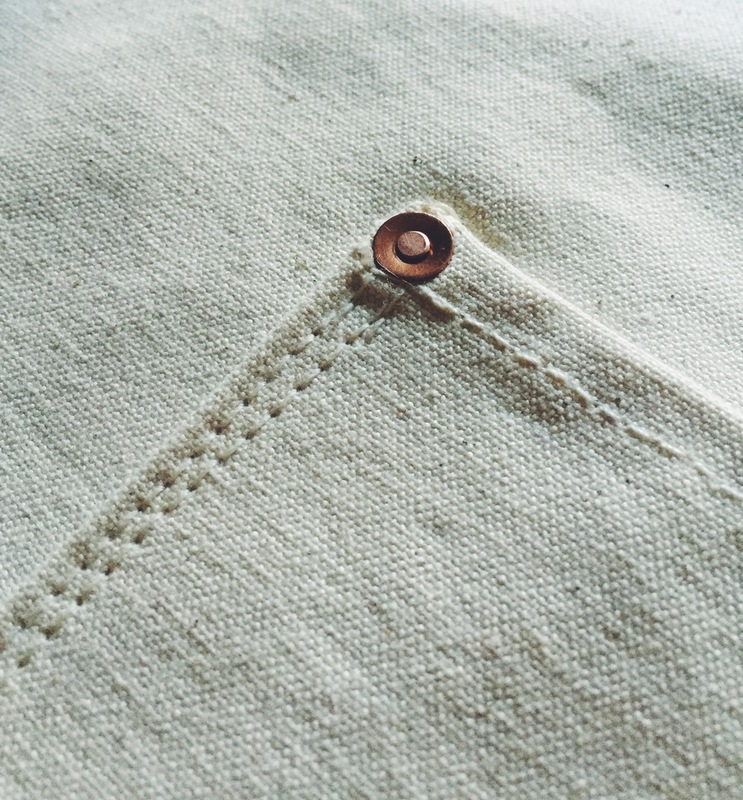 The selvage edge runs lengthwise along the top and bottom of the apron, eliminating the need to fold or twill. 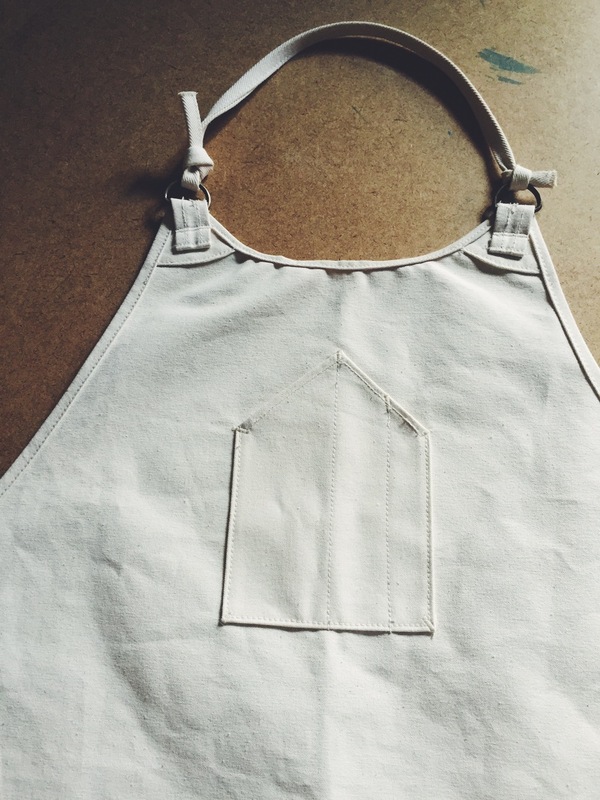 We created a binding out of the selvage to cover the left and right sides of the aprons. Bar-tacks create pocket divisions. LXL was formed to provide us an outlet to make money from doing what we loved - designing and manufacturing things that were interesting and useful to us. Business with a capital "B" can sometimes slow down this process of joyful experimentation, and it definitely has slowed LXL down in the past. 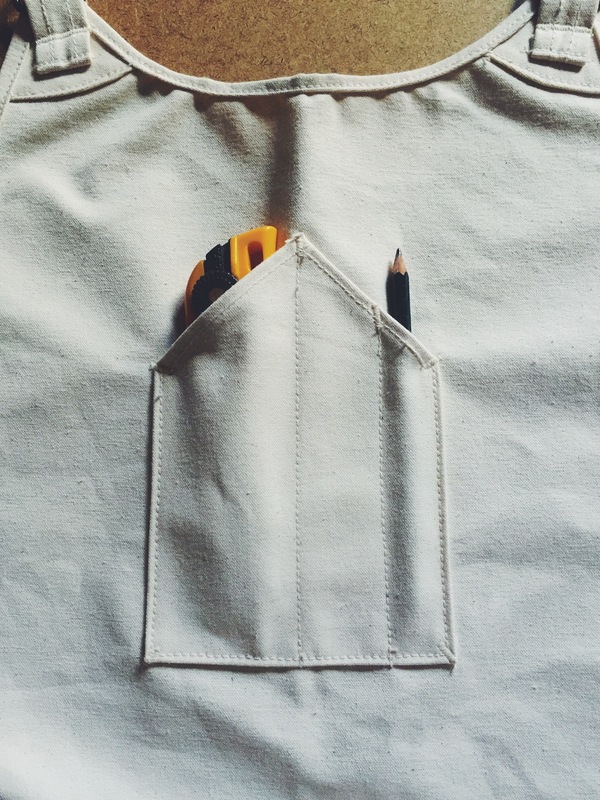 But simple, personally meaningful projects like these are creative refreshers that help realign our trajectory. Visit http://meowmeowtweet.com and see what they have to offer. We currently use many (maybe even all?) of their products and endorse both their products and them as good people.